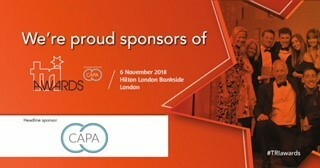 The administrators of Coast, another retail victim of Britain’s high street crisis, have instructed CAPA to conduct a full accounts payable audit on all sites, goods and services across the entire chain. PwC also instructed CAPA to conduct a full property audit on 21 Coast stores, after saving parts of the business in a rescue deal. During a year in which many retailers have entered insolvency, Coast had been suffering due to structural challenges in the marketplace, particularly in the concession partner market, along with a softening of demand for the ‘premium occasion’ fashion wear the business trades in. After a period of financial distress, Michael Denny, Zelf Hussain and Ian Green of PwC were appointed joint administrators of Coast on October 11 2018. Through a pre-pack administration PwC sold parts of the business and certain assets, including 145 department store concessions, to another fashion retailer, Karen Millen, which helped to safeguard 600 jobs. The parts of the business sold on will trade primarily online and in the concessions under the Karen Millen brand. Directors at Karen Millen are now working with the existing management team to develop the new business. Soon after the deal was finalised, the administrators instructed CAPA to conduct the full accounts payable and full property audits. It means CAPA’s auditors will now use bespoke software to carry out a forensic audit of accounts payable data across all stores and the 145 concessions. This will include inspections of invoice data on all goods and suppliers, warehouses, the headquarters and other offices. The team will identify any anomalies or errors in the data, to detect any overspend that CAPA can recover for Coast’s creditors. The property audit will entail an inspection of property costs throughout the 21 stores. The team will review rent, service charges, utility bills, business rates and insurance costs to discover any further sums which can be recovered for creditors.